Four special holiday offerings from today's favorite authors remind us that when love is on your list, you never have to stop believing. . .
Not all happiness is good for you--or that's what Iris Karr thinks when she decides to move away instead of marrying her sweetheart Ben. Even years later, living with that decision isn't easy--until a familiar face comes to call her home for the holidays. . .
Elizabeth Stone is ready for a white Christmas in Tinker's Cove, Maine--until a fancy Yule ball at the Florida hotel where she works dumps snow on her plans. The sponsor's jewels have gone missing and the police are asking about her ties to a cute mystery guest. Good thing Elizabeth's mother, Lucy Stone, flew down to surprise her. ‘Tis the season for a little investigating. . .
Estate liquidator Jenna Matthews isn't one for Christmas nostalgia. 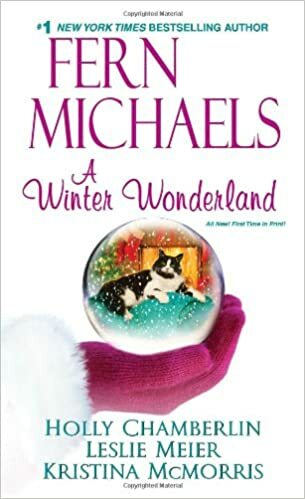 But when one grandmother's keepsakes suggest a secret life, unwrapping the mystery leads Jenna--and her client's handsome grandson--to the true heart of the holiday spirit. . .